Stacy Morris grew up in Miami, FL and is a graduate from the University of Florida. She chose Jacksonville, FL to call her home in 2011. 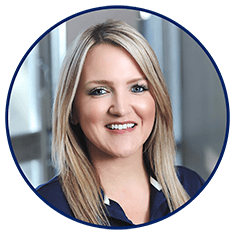 Stacy has been in the mortgage industry for 6 years and knows the ins and outs of the business from the start of a loan to the finish. She is very detail oriented and prides herself in great customer service. Her goal is to make the mortgage process easy and exciting. Outside of work, she loves spending time with her friends, family and two dogs. Bank of England Mortgage has tried to provide accurate and timely information; however, the content of this site may not be accurate, complete or current and may include technical inaccuracies or typographical errors. From time to time changes may be made to the content of this site without notice. Bank of England Mortgage may change the products, services, and any other information described on this site at any time. The information published on this site is provided as a convenience to visitors and is for informational purposes only. You should verify all information before relying on it and decisions based on information contained in our site are your sole responsibility. If you are an individual with disabilities who needs accommodation, or you are having difficulty using our website to apply for a loan, please contact us at (904) 992-1000. This contact information is for accommodation requests only.